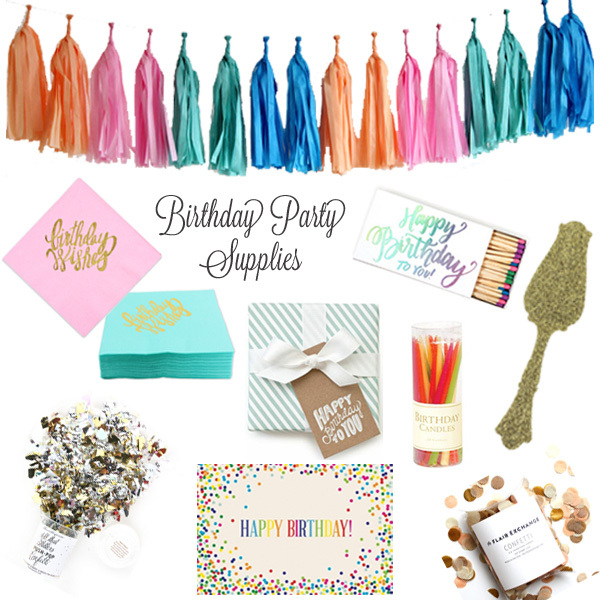 Before "birthday month" officially comes to a close, I thought I'd share some of my favorite birthday party supplies. These items come from a few wonderful designers and small shops that you can feel great about supporting: Hattan Home, Waiting on Martha, The Flair Exchange, Sugar Paper, and Shop Sweet Lulu. You are the sweetest for sharing! xoxo! Wonderful birthday party supplies!! I loved all the décor stuff. I would like to get frozen party supplies for my daughter’s 5th birthday. Please tell me about your frozen party supply prices. The party will be organized at one of the best party venues Houston TX and will last up to 3 to 4 hours. This is great article about birthday party supplies. Do you have a market place so I can buy it on line?